Digital images are so easy to pass along via email or even between phones, but there is still a market for mailing printed photographs. Who doesn't have extra photo frames laying around? Whether you are buying prints from online photo printing sites or shipping photos to a friend, it is important that the photo package is prepared carefully so as to prevent it from being damaged in shipping. Otherwise, your photo could be creased or even get wet. You never know what kind of mishandling might occur during the move between your drop-off and final delivery to its destination. In this article, you'll learn how to mail a photograph properly. Bubble wrapped envelopes often instill a false sense of security because people don't realize that they can still be folded or crushed. Some lazy mail delivery folks will do everything they can to cram that bubble wrapped envelope into your mailbox before they get out of their truck and walk it up to your front door. Paper envelopes are even worse because they bend so easily, and they make great wrappers for when the post office puts all your bills and junk mail inside the big folded envelope like a mail taco, then wrap it all in a rubber band. As a general rule, don't ship photos in anything that can bend easily. If the package can be bent to fit inside a mailbox, then it will most likely be bent. If you have an odd size photo or document, you may consider cutting a piece of cardboard to use as a backing inside of the envelope. While this will help to reinforce the document, keep in mind that cardboard is constructed in layers and can still bend at sharp angles. The best way to mail a photograph is inside a rigid cardboard sleeve that can't be easily bent and therefore retains the flatness throughout the shipping process. Not only are these sleeves tough to bend, but they also have hard corners that hold up better than bubble wrap or regular paper in case the package is dropped. Office supply stores carry name brands as well as their own brand, so shop around to find the best price and quality. 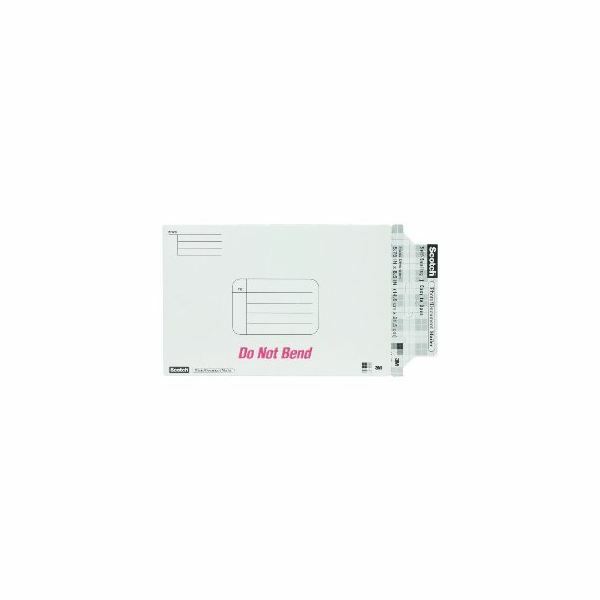 These type of envelopes are typically marked as either photo or document mailers. One type of mailer I have used in the past is the Scotch Photo Mailer because it is readily available in a variety of stores, as well as at Amazon.com. These mailers use a thick cardboard sleeve that is incredibly sturdy and marked with the words 'Do Not Bend' in a way that is more of a challenge than a warning. Another good one on Amazon.com is the Quality Park 6×8 Mailers that come in a box of 25. You'll find prices on these type mailers are always cheaper when you buy in bulk. You can use these sturdy envelopes to ship CD's and DVD's as well, and both Scotch and Quality Park make them in a variety of sizes to suit your printing needs.